The Profiles department seeks profiles of writers who are mothers, or writers who write about motherhood (who may or may not be mothers themselves), or writers who have something to say to mothers. Submissions should range from 750 to 2,500 words and may be interview (Q&A) or narrative format. More information can be found here. The Columns department seeks a columnist and a pitch for columns which are contracted for 10 installments and are published either monthly or bimonthly. Word count: 1000-1600 words. See this blog post from our senior columns editor for details about the three essential ingredients to a successful column pitch: hook, roadmap, samples. Review our current and retired columns and make sure your idea is one that covers new ground in new ways. We see plenty of not-so-fresh column ideas (of the working-mom-quits-job-turns-stay-at-home-mom-discovers-joys/challenges/heartbreaks-of-parenting variety) . . . so we're especially looking for columns that reflect a diverse view–racially, ethnically, sexually, emotionally, physically–you name it. But most of all, we want a story that is uniquely yours–one that you can’t wait to tell, and that we can’t wait to read. Ploughshares Emerging Writer's Contest recognizes work by an emerging writer in each of three genres: fiction, nonfiction, and poetry. One winner in each genre per year will receive $1,000 and publication in the literary journal. We consider writers “emerging” if they have not published or self-published a book. See guidelines here. The Crab Creek Review Poetry Prize is open for submissions! Prize is $500 for the winning poem, all entries considered for publication. Submit up to 4 poems of any length. $16 entry fee. Diane Seuss is the judge. Enter here. Ruminate Magazine's Janet B. McCabe Poetry Prize is open. Prize is $1500 for the 1st place winner and $200 for the 2nd place winner. Submit up to 2 poems of no more than 40 lines each. Enter here. JuxtaProse Literary Magazine is open to submissions for their poetry contest. $500 and publication in JuxtaProse Literary Magazine will be awarded to the winning poem. Up to three additional poems, each by a different author, may be awarded "Honorable Mention" status, for which they will receive $50 and publication. All finalists will be considered for publication. Poems must be previously unpublished. Find out more here. Nowhere Magazine is open to submissions for its travel writing contest. A prize of $1000 and publication will be given to the short story or essay that "possesses a powerful sense of place." Find out more here. The American Short Fiction Prize is open to submissions for stories between 2,000 and 6,500 words. A prize of $1000 and publication is given annually for a short story. Find more details here. Bellevue Literary Review is open to fiction and nonfiction submissions for its 2018 Literary Review Prizes. Guidelines and submission information is here. Narrative The Spring Contest is open to all fiction and nonfiction writers. They are looking for short shorts, short stories, essays, memoirs, photo essays, graphic stories, all forms of literary nonfiction, and excerpts from longer works of both fiction and nonfiction. First Prize is $2,500, Second Prize is $1,000, Third Prize is $500, and up to ten finalists will receive $100 each. All entries will be considered for publication. Click here for more information. Sowing Creek Press is accepting submissions for its anthology with a working title: Natural Wonders: Time in Nature Can Change Your Life. The focus of this anthology will be finding peace about an issue, learning about yourself and others, while in nature. If you’ve had an epiphany while in the wilds, share your eye-opener or conclusion reached while in nature by writing an essay for this anthology. Find out more here. Ivy Cirillo Books is accepting stories for teens and young adults struggling with mental and/or physical illnesses. Find out more here. How the Light Gets In will explore the unique challenges and the unexpected rewards of parenting with a mental illness. We are seeking contributors from all walks of life with varying diagnoses. Likewise, we are looking for essays from any point on the parenting timeline—from the decision to have a child, to the sleep deprived early years, to the hormonally fueled teenage years, to helping children navigate adulthood. Find out more here. Gehenna & Hinnom Books is currently accepting submissions for the Year's Best Body Horror 2017 Anthology. Find out more here. Terrain.org is based on and thus welcomes quality submissions from new and experienced authors and artists alike. Our online journal accepts only the finest poetry, essays, fiction, articles, artwork, videos, and other contributions — material that reaches deep into the earth’s fiery core, or humanity’s incalculable core, and brings forth new insights and wisdom. Find out more here. The Matador Review is an online literature and art quarterly based in Chicago, Illinois. We publish poetry, fiction, flash fiction, and creative non-fiction, inviting all unpublished literature written in the English language (and translations that are accompanied by the original text) as well as many forms of visual art. Find out more here. The Common's spring reading period is open. They're accepting fiction, nonfiction, poetry, and dispatches "that embody a strong sense of place: pieces in which the setting is crucial to character, narrative, mood, and language." 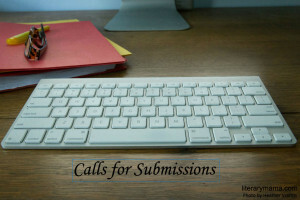 Detailed submission guidelines can be found here. The Vignette Review is seeking fiction submissions (300-900 words) for its second annual SUMMER issue. For detailed submission information, please click here.